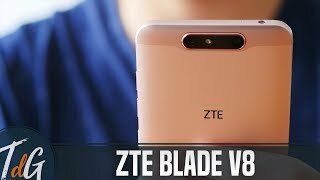 ZTE has recently announced two new members to the Blade V8 line and one of those smartphones is the ZTE Blade V8 Lite. Just like the Mini version, this one features a 5.0-inch screen but there are differences in the processor. 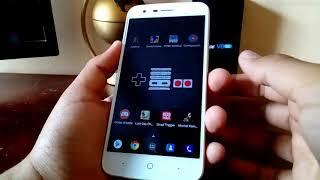 To learn more about this phone including the ZTE Blade V8 Lite Nigeria price, continue reading. It’s easy to guess from its name that the phone is light which is clearly visible when it comes to the phone’s screen size and some specs. This phone is aimed at young and first-time Android phone users who are interested to get a phone with the latest Android operating system. While the screen size is similar like the Mini version, there is a change in resolution as the Lite version is packing a full HD resolution. The build quality is quite solid and the plastic looks quite premium-ish but it’s a fingerprint magnet as well. There is a fingerprint sensor on the back of the phone which is a cool feature to have in a budget phone. After the ZTE Blade V8 Lite release date Nigeria is here, it will be available in multiple colors including black and white. Unlike the ZTE Blade V8 Mini which is packing dual cameras, this one only includes an 8-megapixel camera on the back. Moreover, the 5-megapixel selfie camera doesn’t include any flash. 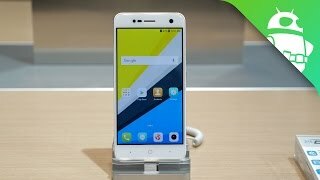 There are budget phones like the Huawei Honor 6X and ZTE Blade V8 Mini that includes dual cameras you can check out. These are almost in the same pricing range as the ZTE Blade V8 Lite Nigeria price and is not as expensive as the iPhone 7 Plus. For storing all the captured contents, users will only get 16GB built-in storage. However, there is a microSD card slot if that’s not enough for you. 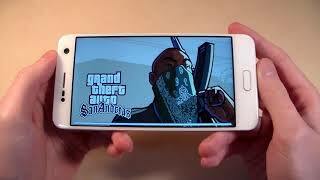 It’s not a dedicated slot though and it will be using SIM 2 slot. Like any other budget phone, this one makes a compromise which is visible in the processor. The Mini version settled with a Qualcomm processor while this one is packing a Mediatek MT6750 octa-core processor clocked at 1.5GHz. This one is paired with 2GB of RAM which should be fine for performing basic tasks and running normal not so power hungry apps. One great thing about this phone is that it will be running the latest Android Nougat v7.0 right out of the box. It’s not packing a USB Type-C port but a microUSB v2.0 but that’s acceptable considering the price. 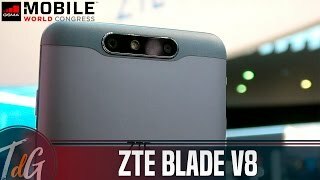 The ZTE Blade V8 Lite will cost about 78700 ₦ when it’s here. 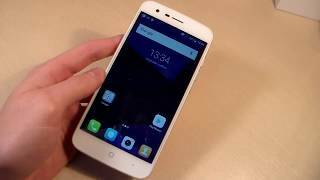 From what we have learned so far, the ZTE Blade V8 Lite release date Nigeria is expected sometimes in March or April, 2017. If you are interested to check out some more phones that will show up at the same time as this one, there is the Nokia 5 and Nokia 8. 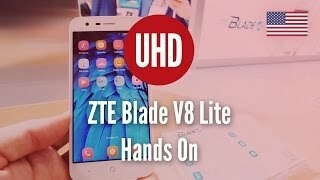 The blade v8 lite Mobile Phone is manufactured by ZTE and was added around March 2017 and is part of the ZTE Blade V8 Lite series.